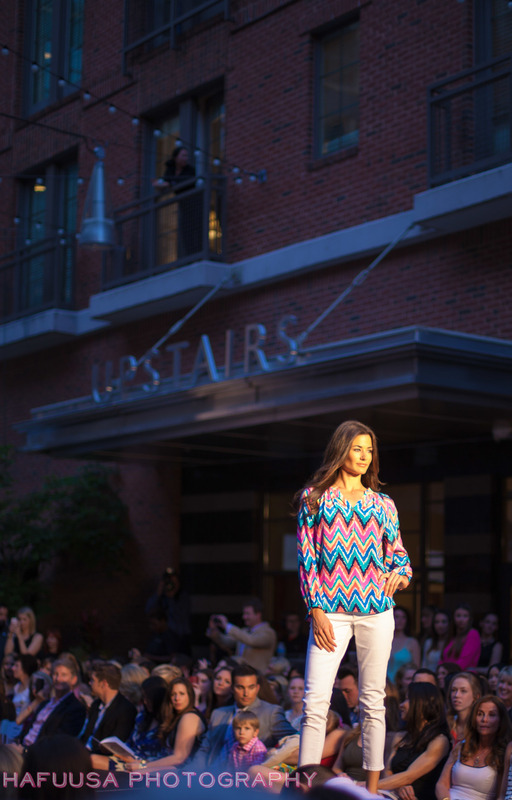 Every year Bethesda plays host to The Front Row fashion show, a runway extravaganza highlighting Bethesda Row's most popular retailers and their looks for the season. Models strutted down the runway wearing fashions by Ginger, Sassanova, Wear It Well, Pink Palm, J. McLaughlin, Equinox, Luna, Lucy, Courage B., and Francesca's Collections. This year's special guest was celebrity and newely-minted author Jessica Alba, who signed copies of her New York Times Bestseller ' The Honest Life,' while other guests enjoyed a little pampering at massage stations by Equinox, and a "Lipstick Bar" by Aveda. Other honary guests included Alli Webb, founder of Drybar, and Marla Malcolm-Beck, founder of Bluemercury. The night cumilated to the fashion show, emceed by the sisters of Georgetown Cupcake, Sophie LaMontagne and Katherine Kallins.